All 12 boys were recently evacuated from Tham Luang Nang Non, Thailand’s longest cave, where they had been trapped inside with their soccer coach since June 23. The extensive search-and-rescue operation, which included more than 1,000 people from various nations, has now switched to a treatment process. 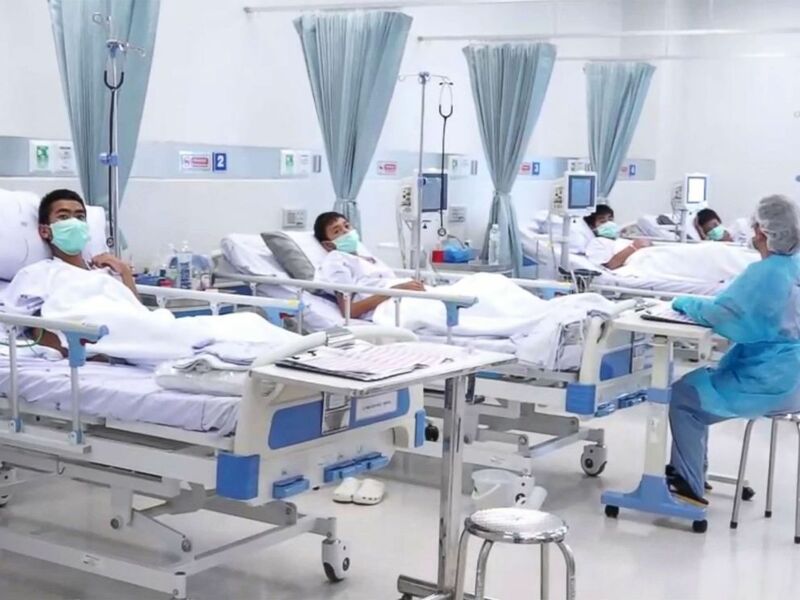 The boys and their coach remain quarantined at Chiangrai Prachanukroh Hospital in northern Chiang Rai province, while they recover from a variety of minor ailments, Thai officials said at a news conference Wednesday. The former governor of Chiang Rai province, Narongsak Osatanakorn, the local official in charge of the rescue operation, told ABC News some of the boys were too weak to really walk. They were all were rushed to the hospital mostly because of fear of infection. 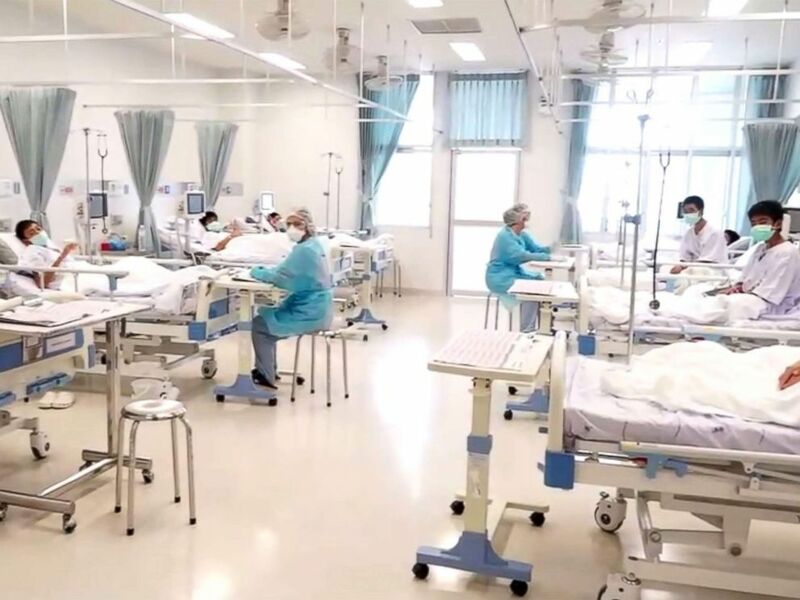 But as a whole, "everybody is doing well," Thongchai Lertwilairatanapong, a public health inspector, told reporters at Wednesday's news conference. "No one has any serious infections," he added. "Everybody can now rest and do daily activities." 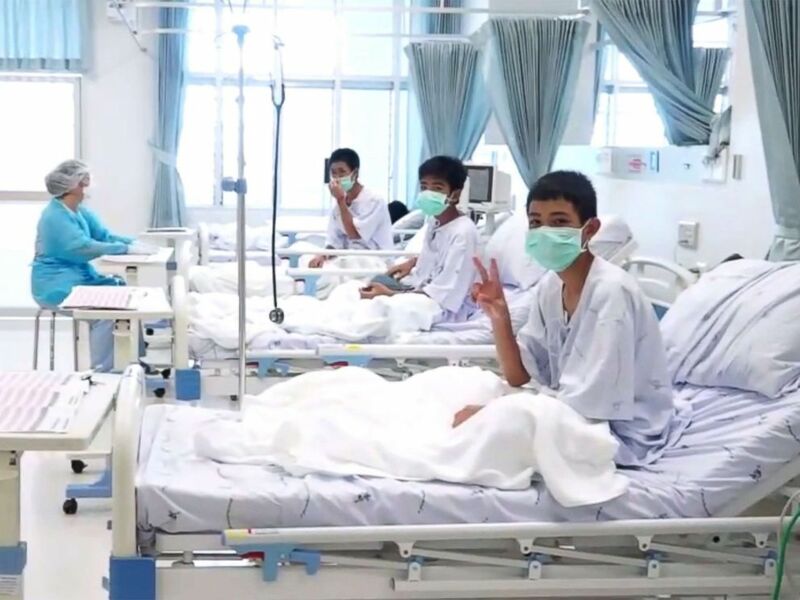 None of the four boys who were the first group to be evacuated from the cave has a fever, and the three boys who have minor lung infections are improving, Thai officials said, adding that they are taking less medication and can eat anything they want. That’s good news for the boys who had said they were looking forward to fried rice with basil. As with the day before, parents are still being held tantalizingly far away from their children. They were allowed to again visit but had to stay more than 6 feet away. "They talked to the boys far away from them, about 2 meters [6.5 feet]," Thongchai said. "The second group will do the same today." The second group will be moved Wednesday evening local time from soft to regular food. The third and final group, including the soccer team's 25-year-old coach, who were all evacuated Tuesday, are taking antibiotics and at least some had lung infections. 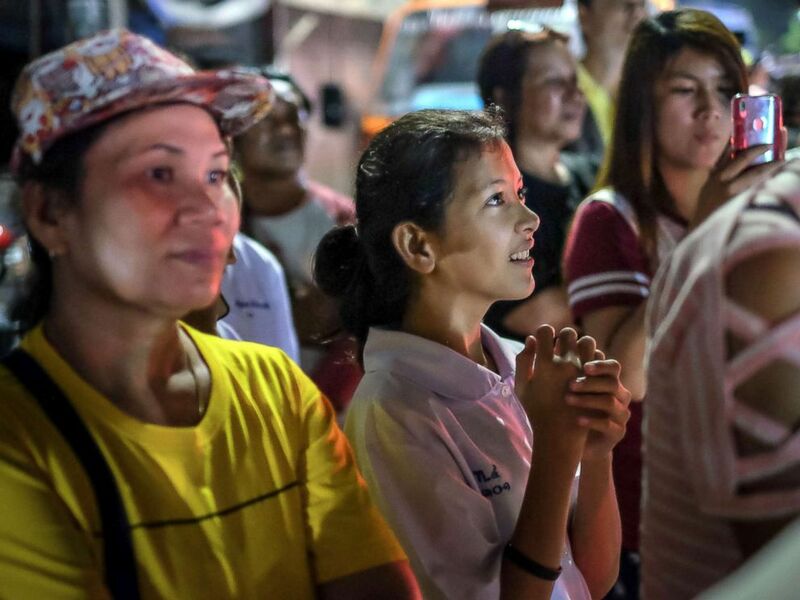 Onlookers at the junction in front of Chiangrai Prachanukroh Hospital watch and cheer as ambulances transport the last rescued schoolboys and their coach, July 10, 2018, in Chiang Rai, Thailand. Thai doctors said the boys each lost about 2 kilograms, or roughly 4.5 pounds, from the ordeal. The boys have been given health cards, which they will continue to carry for two weeks after they leave the hospital, in order to jot down any issues. "Anyone can bring this card to show it to the doctors, so the doctor can be alerted to any kinds of diseases and take care of them, such as colds," Thongchai told reporters. Thongchai said no one is blaming the coach, the last to be evacuated from the cave, for his decision to take the boys inside for a hike after soccer practice. Seasonal monsoon rains flooded the vast cave complex unexpectedly and cut off their exit route. They forged deeper into the cave and found a dry, elevated slope where they remained stranded in total darkness for 10 days before rescuers located them. "You can't blame the coach and you can't blame the kids," Thongchai said. "They have to help each other. We have to admire the coach that he managed well in this situation." ABC News' Adrienne Bankert, Brandon Baur, Joohee Cho, Matt Foster, Ben Gittleson, Hugo Leenhardt, James Longman, Matt McGarry, Gamay Palacios, Kirit Radia, Rex Sakamoto, Scott Shulman, Mike Trew, Anthony Trotter, Sohel Uddin, Marcus Wilford, Karson Yiu and Robert Zepeda contributed to this report.